Don’t see what you want – call or email us and we will see if we can help you out – also call for adjustable and jumbo quick guaranteed payday loans rates. The APR is calculated using a loan amount of $200,000 and typical fees. Curious about payments, when refinancing or purchasing a home with a Florida mortgage? Use the handy Florida mortgage calculator on the right side of the page. Please read the following when applying for a Florida Mortgage. Rates, points and programs, for Florida mortgages, cannot be guaranteed on this web site because rates, fees, APR, and other costs are subject to individual borrower’s credit score, loan-to-value, loan purpose, loan amount, and rapid fluctuations in market conditions. 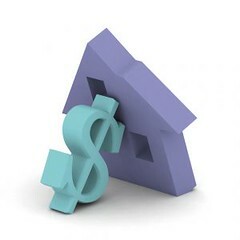 Maximum Loan amount for a conforming Florida mortgage loan, is $417,000. Loan amounts in excess of $417,000, for Florida mortgage loans, are considered Florida Mortgage Jumbo loans. This is not an advertisement for credit or Florida Mortgages as defined by paragraph 226.24 of regulation Z.